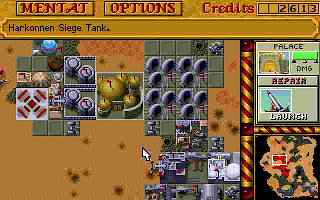 Dune 2 can be considered as the mother of all modern real-time strategy games like Warcraft and Command and Conquer series. 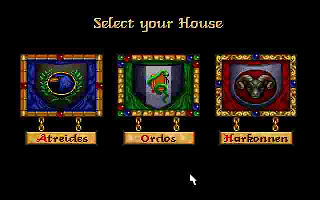 In Dune 2, we can choose three Houses to play, either Atreides, Ordos or Harkonnen. Each House comes with different set of technology and weapon. 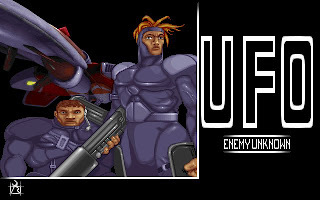 Harkonnen equips with the stongest firepower but less agility, Atreides is in the middle, while Ordes equipes with highest agility but lowest firepower. 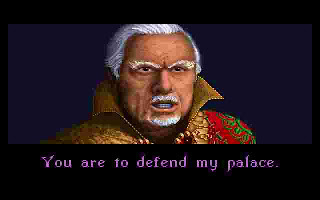 During the game, our Mentat (or advisor) will give us the mission of each level, which normally is to crush all the enemies. 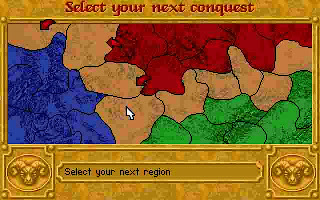 Below is the map of Dune 2, after each mission, we can have option to choose the area that we want to attack next. 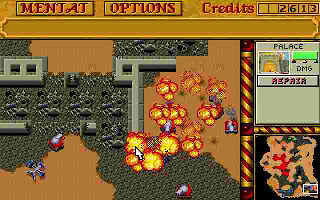 The gameplay for Dune 2 is straight forward, build army and crush all the enemies. The technology that we can use will be improve from one level to another level. 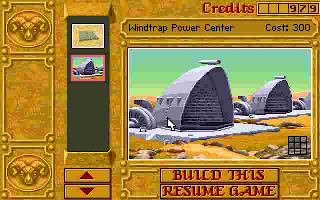 One thing I don't like about Dune 2 is we always start with a very simple base on every level but our enemies start with the full base. 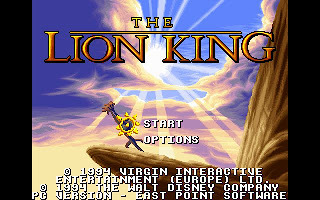 It's actually quite difficult to win the game on the advance level and normally require long hours to complete a level. 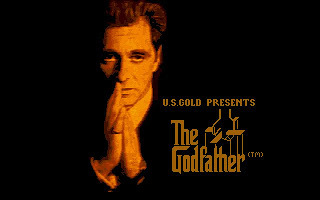 Each Houese comes with their ultimate weapon. 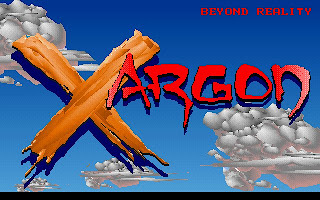 My favorite is the Harkonnen one, Nuclear Missle. Here is the Nuclear Missle in all its glory. 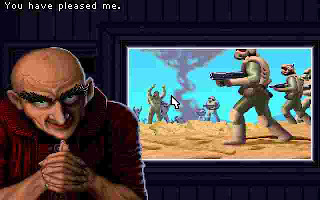 Another thing to mention, the graphics in Dune 2 is quite nice actually, especially during the cut scene. 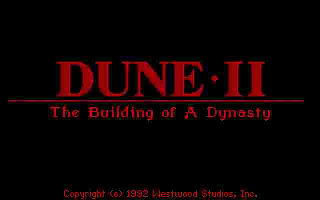 You can download Dune 2 here.